Hosted by Professor Martin Maloney with the cooperation of the Speech Department at Northwestern University, Americana looks at American people and customs in the mid century. People who live on the Coasts tend to forget that the real heart of America is in the Midwest. The East coast has history and commerce, the West coast embodies the future as it faces the Pacific, but it is the values and industry of the Heartland which defines who we are as Americans. 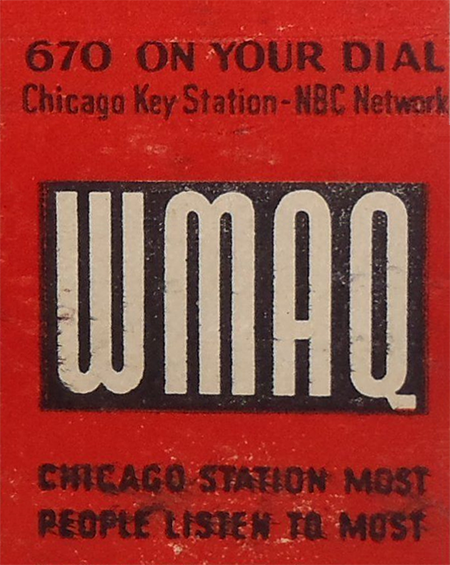 During the 1953-54 season, with the cooperation of the Speech Department at Northwestern University, Chicago’s WMAQ presented a series of radio essays entitled Americana. The series, hosted by Professor Martin Maloney, was a follow-up to the previous season’s The Meaning of America. Through both series, Maloney considers the question of what makes a nation great, and seeks the answer by looking at its heroes, its villains, life in its small towns, the character and formation of its great cities, the songs that it sings, its institutions and traditions, even the jokes that it remembers and laughs at. Even though Americana was produced and broadcast near the midpoint of the previous century, and its language may seem quaint and dated, the conclusions and observations Mr. Maloney presents applies to the America of the Internet age. Be the first to comment on "Americana"